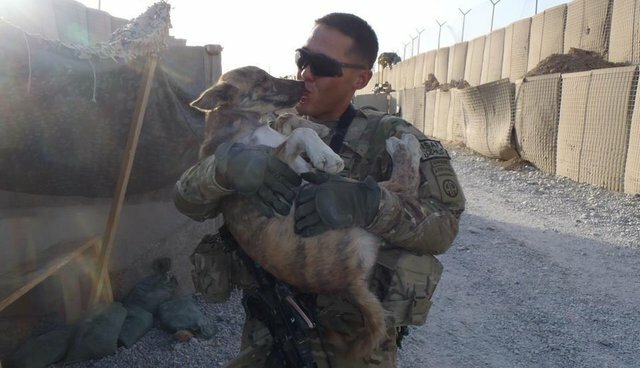 Military men and women deployed overseas often fall in love with the furry friends they meet, and sometimes they're even able to bring their companions back stateside. 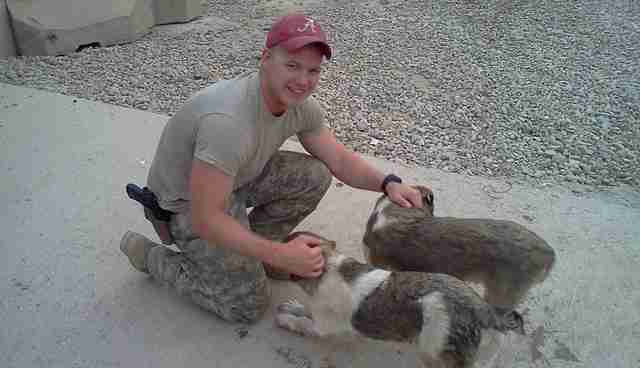 These animals all kept our servicemen and women company while they were miles from home. 1. 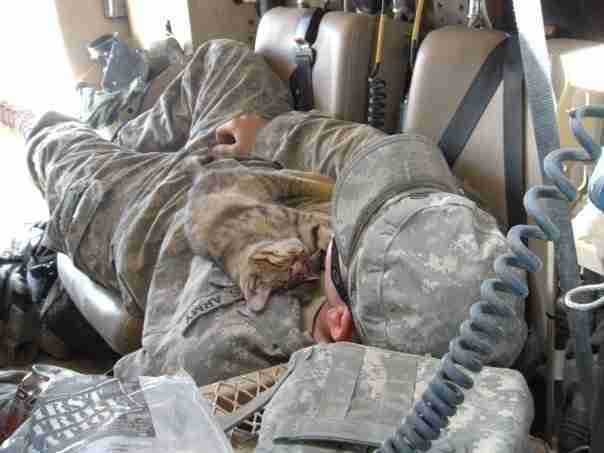 "Stray kitten sleeping on my buddy, Afghanistan 2009." 2. 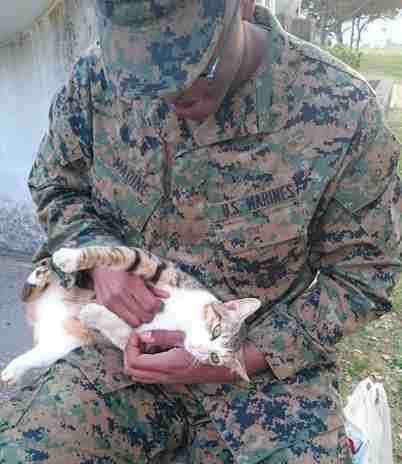 "Met this cutie outside the barracks today." 3. 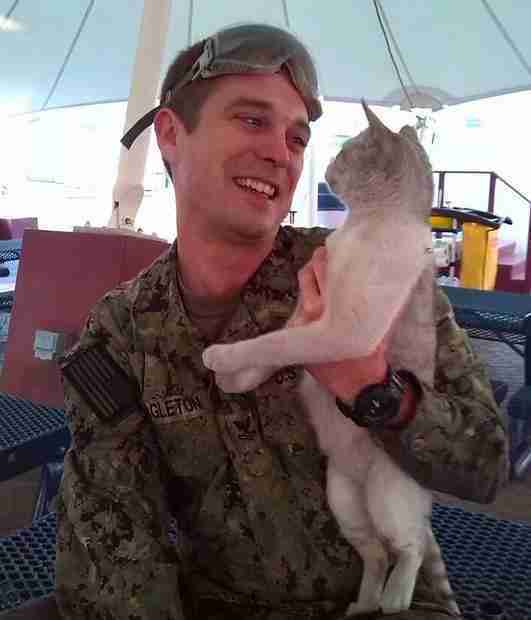 "My new friend on my current deployment." 4. 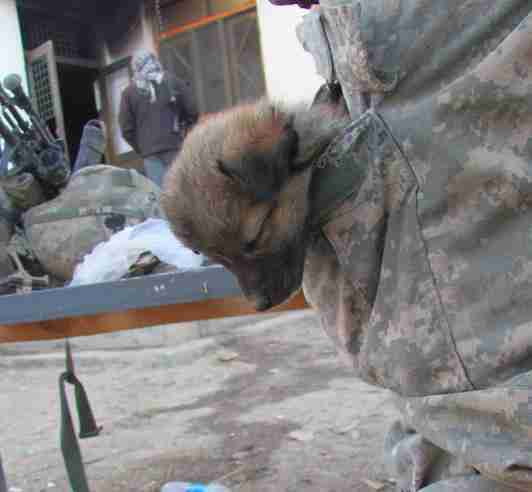 "This is Force Pro, our deployment dog." 5. 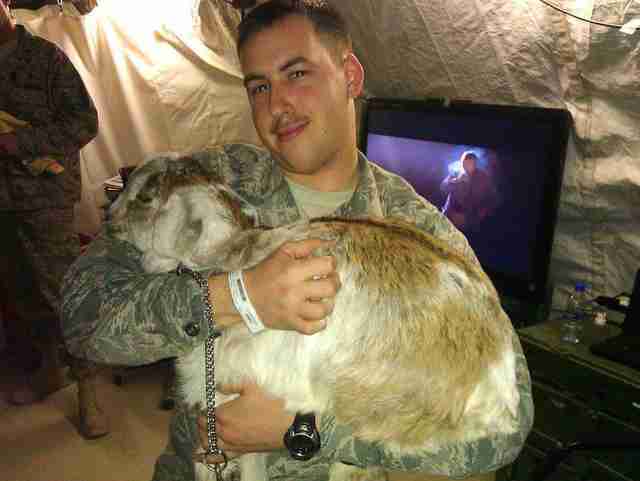 "My buddy is stationed in Bahrain. He found this guy in the trash and he's been taking care of him." 6. 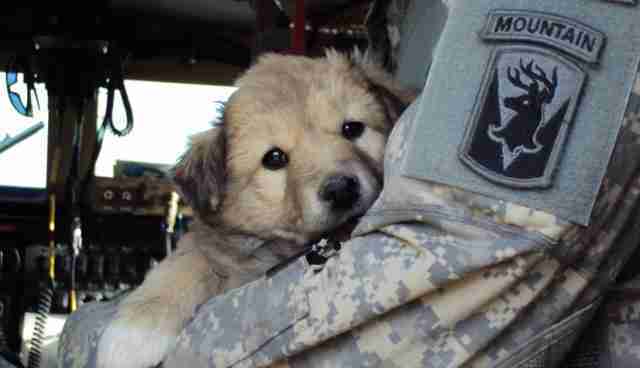 "My little buddies overseas, It's almost been two years since I have seen them." 7. 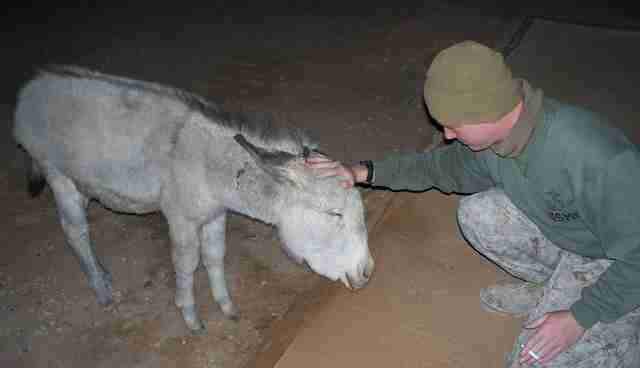 "When I was in Iraq, we had a pet donkey." 8. "One of our adopted puppies used to hide anywhere he could to stay out of the heat." 9. 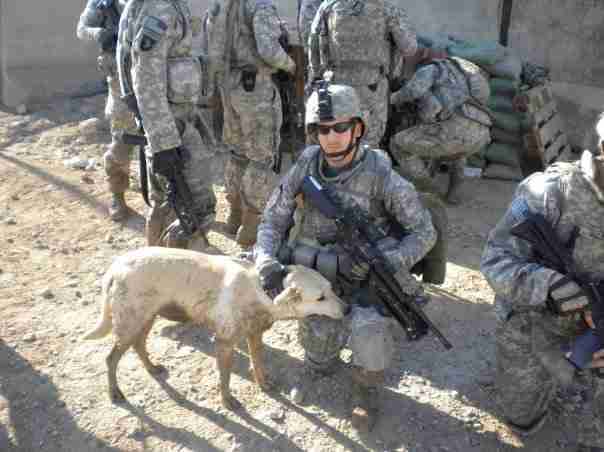 "Me and two lil friends in Iraq." 10. 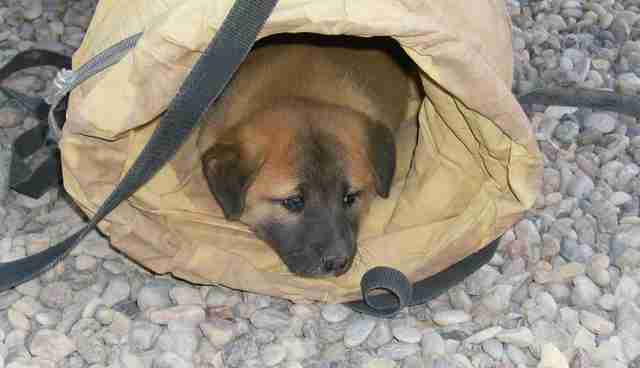 "My shy friend in Afghanistan." 11. 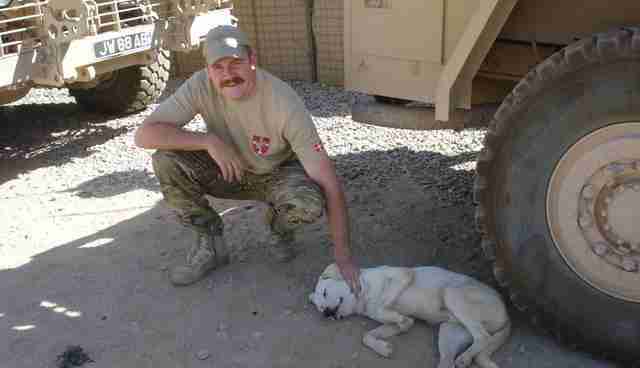 "Me, in Afghanistan with a friendly pooch." 12. "They really cheered me up after a long day." 13. 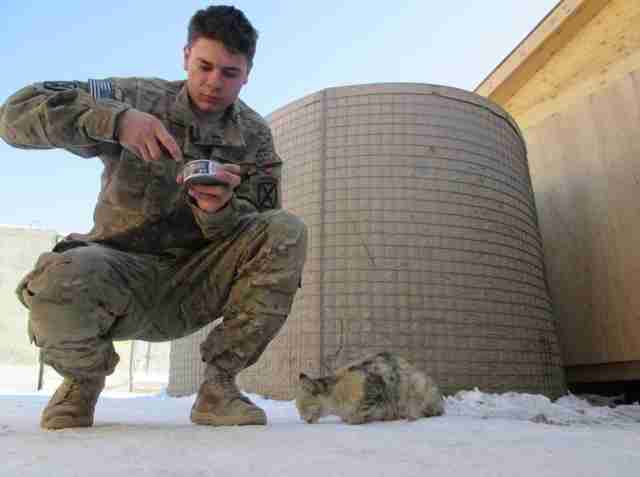 "This little guy kept us company on a mountaintop north of Kabul." 14. 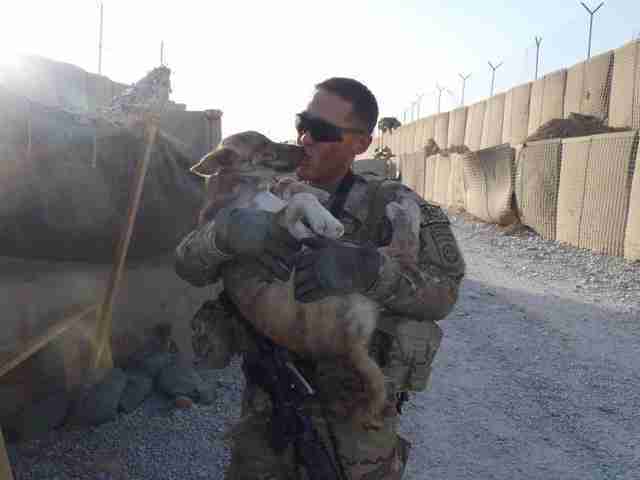 "My buddy found this little guy in Afghanistan, let's hope they both get back safely." 15. 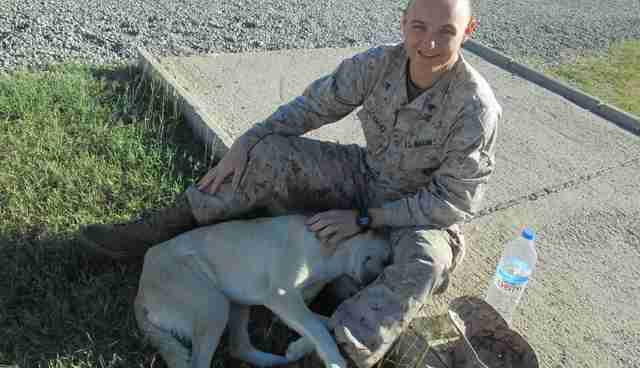 "My nephew is serving in Afghanistan ... "
16. " 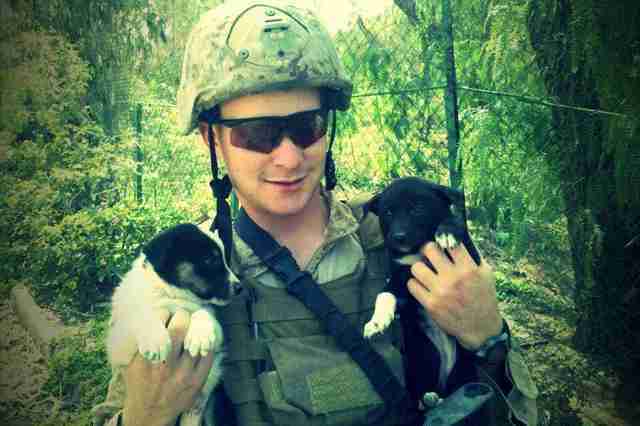 ... My brother in Yemen holding two adorable puppies." 17. 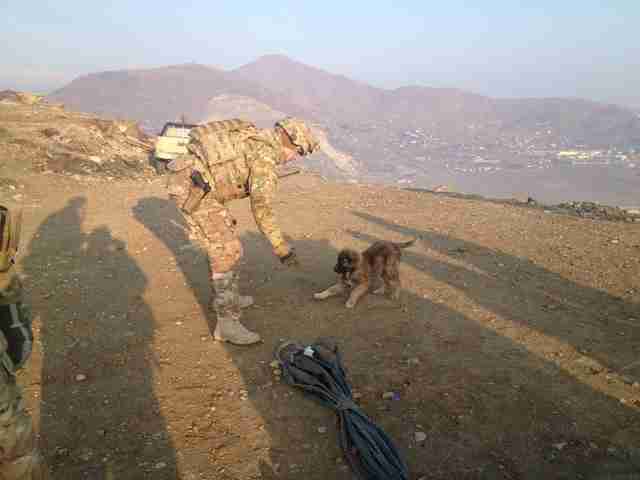 "My friend rescuing a dog in the streets of Afghanistan." 18. 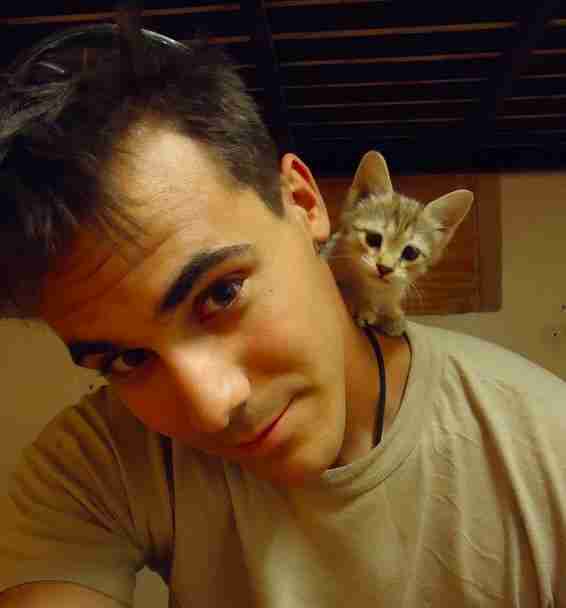 "A kid I became friends with in Afghanistan."